When Fenway Sports Group (FSG), the American owners of Liverpool FC announced their revamped pricing structure for next season's match tickets they probably expected a bit of grumbling, but likely weren't expecting such a robust backlash from the club's supporters. 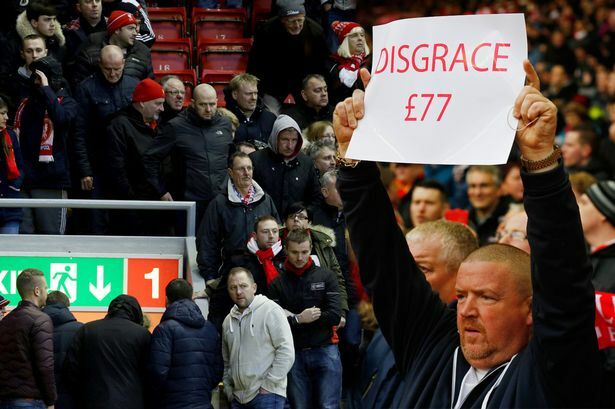 More than 10,000 Liverpool fans walked out of the stadium in the 77th minute of the 2-2 draw with Sunderland on Saturday, in a clear nod towards the £77 price tag attached to the most expensive seats in the new Main Stand next season. Feeling ripped off and deciding that it was time to draw a line in the sand, supporters groups Spion Kop 1906 and the Spirit of Shankly had organized the walk out beforehand and are reportedly planning their next move. In the meantime, FSG will have some thinking to about whether or not their proposed pricing increases should go ahead now that they know the level of the supporters frustrations. Following the match debate raged on social media and football phone-in shows over whether or not this was the best way to take action against the club's owners. 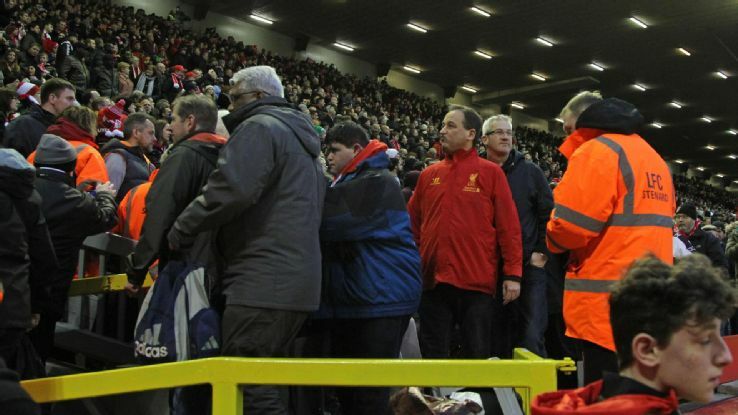 While there are those that are supportive of Liverpool's supporters who walked out, a sizeable number of people feel that this sort of collective action is detrimental to the players and that it would be more effective to hit the owners in the pocket book by not buying anything at the ground. In 2009, the Toronto FC supporters group I belonged to staged a walkout after a laughable performance by the club away to Vancouver. That loss in the Nutrilite Canadian Championship was only the tipping point as we felt aggrieved at the second straight season of ticket price increases. On top of that we were annoyed by the horribly cynical moves by the club's owners MLSE, like forcing half season ticket holders to purchase Toronto Marlies minor league hockey tickets as well as their football tickets. The fact that the hated, and clueless, Mo Johnston was still the club's general manager at that point didn't help matters either. Initially all of the club's major supporters groups agreed to stage an organized walkout, but for a variety of reasons we were the only ones that went through with it. Because we didn't have a large number of people participating, the impact of our protest was lessened. Yet in spite of that, and the resulting backlash we got from some of our own fans, if I had to do it again I would without hesitation. I've never been comfortable with the attitude of "just support the boys on the pitch", as I feel that sometimes ownership needs to be held accountable. Supporters being unified and organized against unfair treatment is the only weapon we have. They may view us as customers, and I suppose technically we are, but we are really we are fans and football without fans is nothing. If you're going to trumpet the atmosphere in the stands when marketing the club, have a thought for who creates that atmosphere. If you were a season ticket holder at a club that was raising prices to unacceptable levels would you participate in a walkout? This needs to be done for the toronto maple leafs to. I wish businesses would stop buying seasons tickets, otherwise the owners will never learn.